The St. Luke Foundation helps to ensure that the ministry of St. Luke Lutheran Community, on behalf of the aging, will continue for as long as there is a need for such care. St. Luke Lutheran Community's mission is to provide faith-based services to enrich the lives of older adults. The St. Luke Foundation was established in 1983 to provide financial support for the benefit of St. Luke Lutheran Community and its residents. The Foundation is a separate, not-for-profit, charitable corporation having its own board of trustees. Lutheran Church of America (ELCA), recognized by the Lutheran Church - Missouri Synod (LCMS) and acknowledged as an outreach ministry of both. 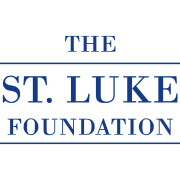 Would you recommend ST LUKE FOUNDATION?